So my nubbins are making their debut today - and I guess this post is the one to show them off with! 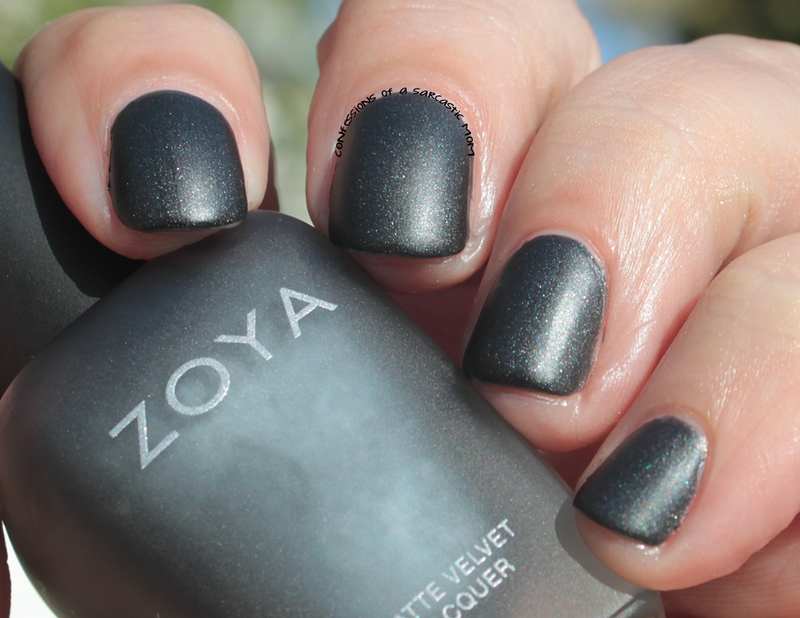 I know a lot of bloggers have showcased these polishes lately, but here's my entry - The Zoya Matte Velvets on nubbins! This six-piece collection is only available for a limited time. What are my thoughts? Check them out after the cut! So my favorite? Posh! The color and the finish got me. 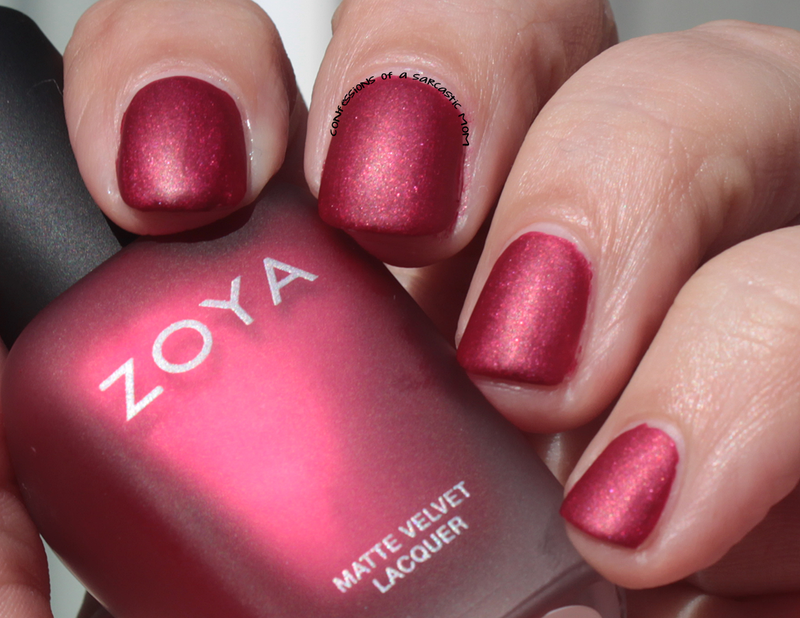 The cool-toned wine red is gorgeous with this velvet-esque sheen. 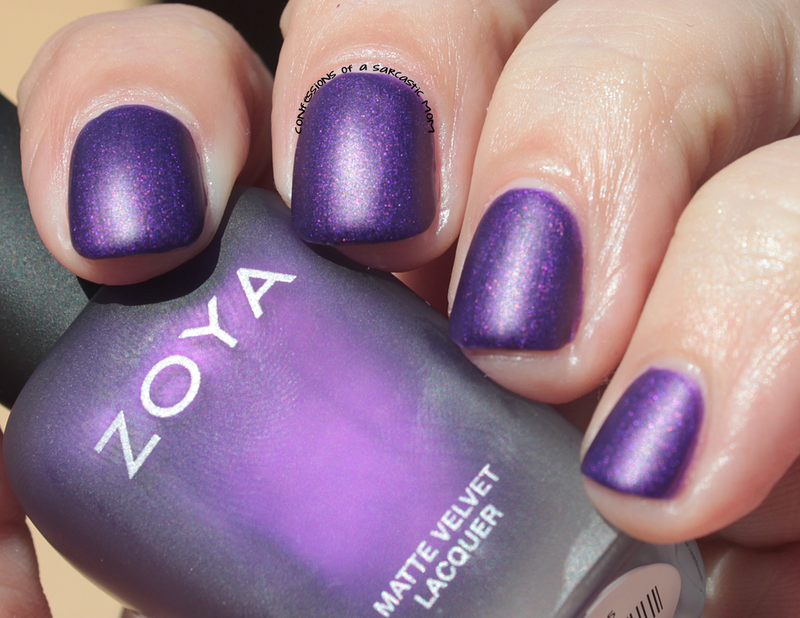 This polish could have been a one-coater if the first coat was thick enough. I tend to go too thin on my first coat, so I needed two. This time. 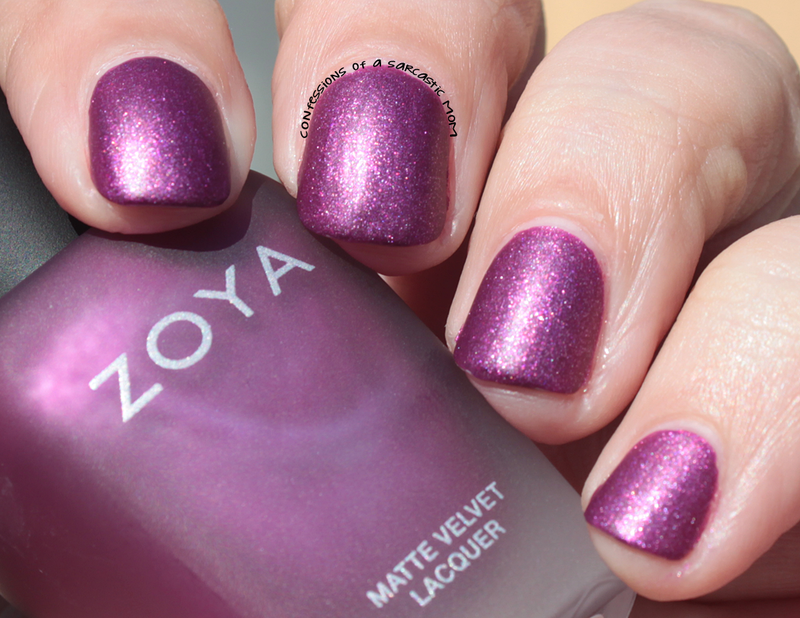 Next up is Harlow, a plum purple with a tad bit of shimmer. 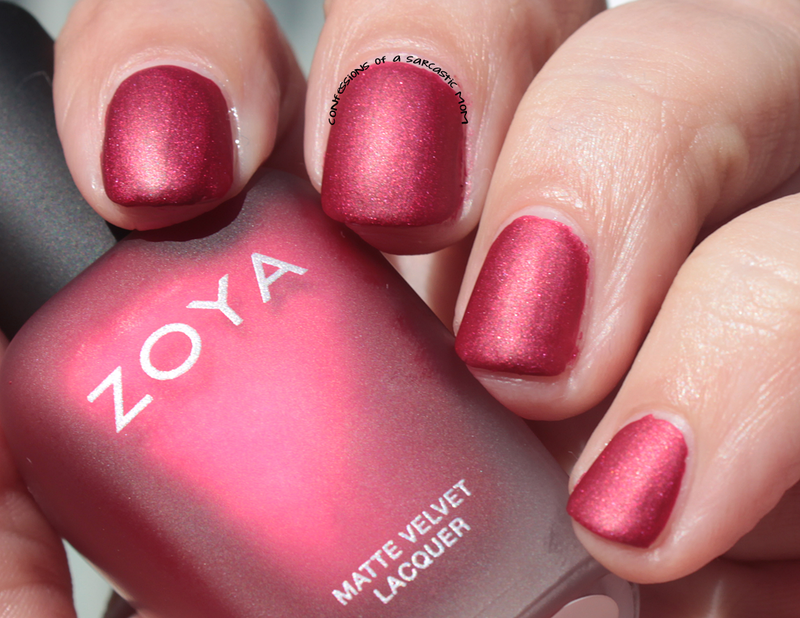 This polish was a one-coater! It wasn't thick or goopy - it was the perfect consistency. 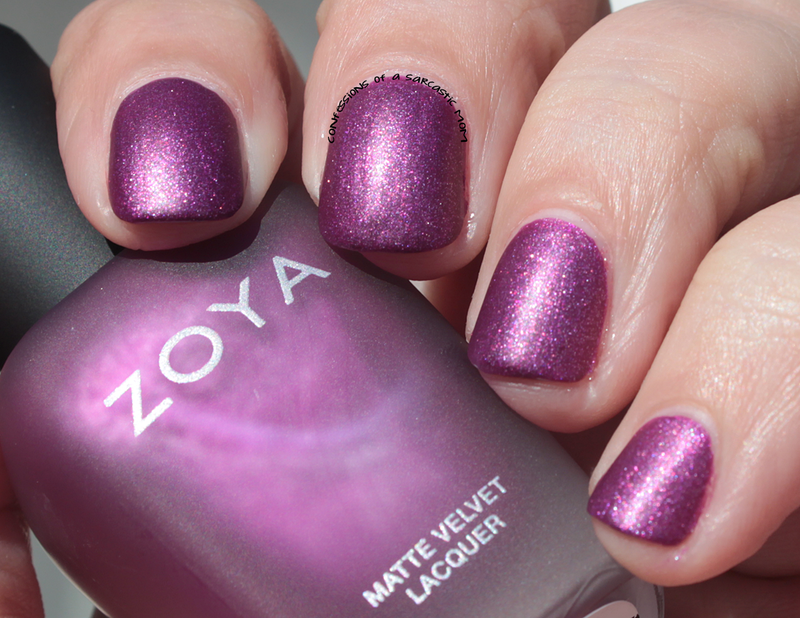 Savita is a deeper purple than Harlow. This one borders on blurple territory. 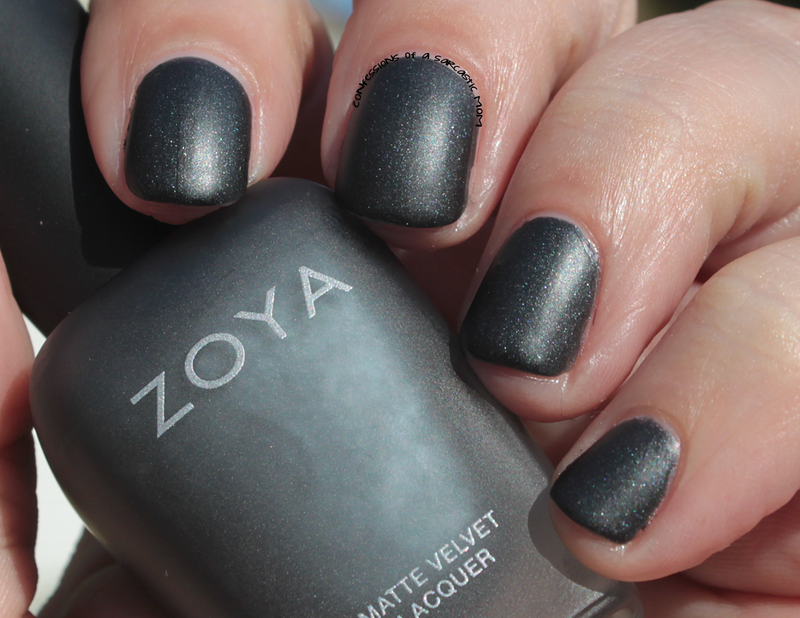 Two coats were definitely needed on this one. One coat, no matter the thickness, would not cut it. 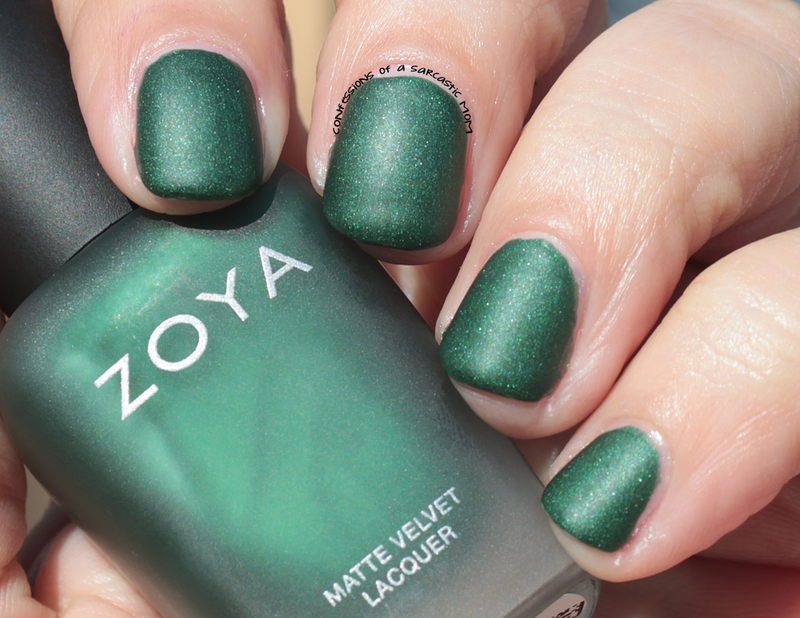 The deep green velvety goodness of Veruschka is just stunning! No issues with formula, tho it was a tad on the thick side. Isn't it pretty?? 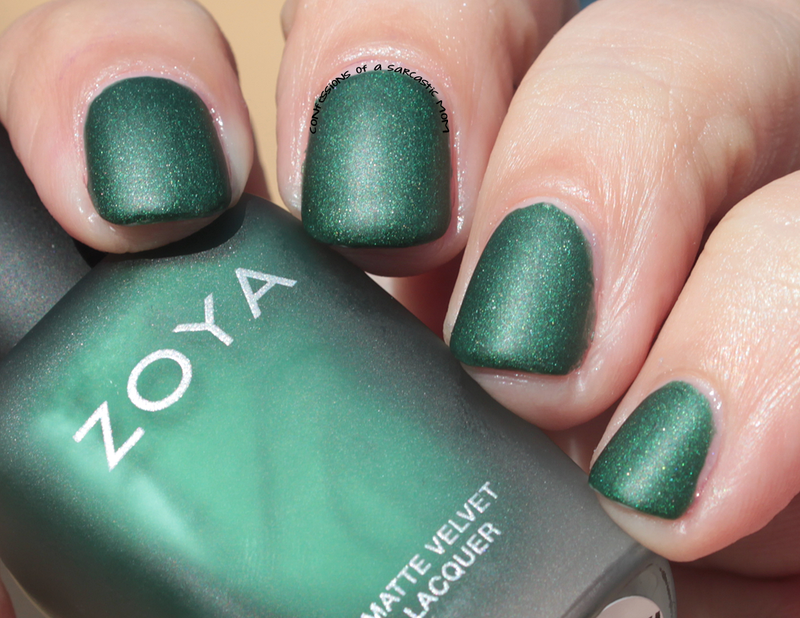 This one might be perfect for a Christmas-themed mani! 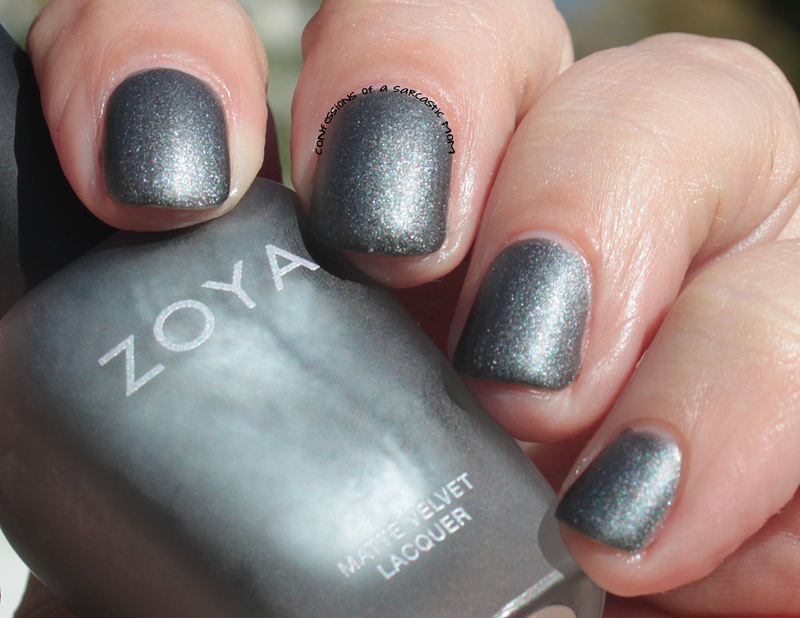 Loredana is a gunmetal grey with a silvery shimmer. Two coats pictured, and I think maybe two coats are definitely needed. I might experiment with this one again :) No formula issues at all. Posh is my choice of this collection, but all of them are nice. I love the finish. Will you be picking any of them up? 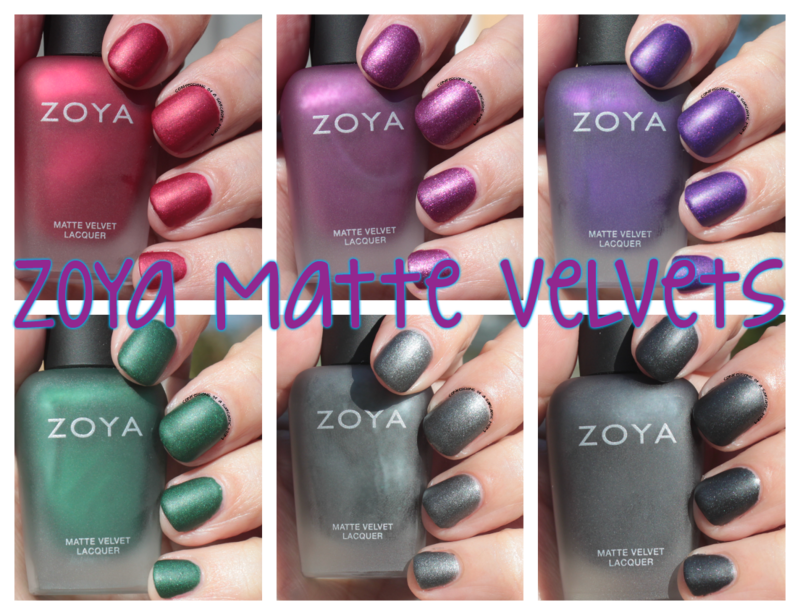 They are only available for a limited time!You can order these for $9 each or all 6 for $54 on the Zoya website.